Environmental graphics can change the look and feel of any surroundings. Interior, exterior, permanent or temporary we can provide any solution. Our business has been creating what has become referred to as ‘EG’ before it was even considered a niche within this industry. The definition is somewhat loose in our opinion so I guess you can call it whatever you prefer. How about a big sign….? We have produced these type graphics for schools, universities, churches, the military and healthcare industries for many years. Some of which involve large graphics, painting, construction and landscaping. We can design, construct, fabricate, install and permit any project regardless of the challenge or timeline. 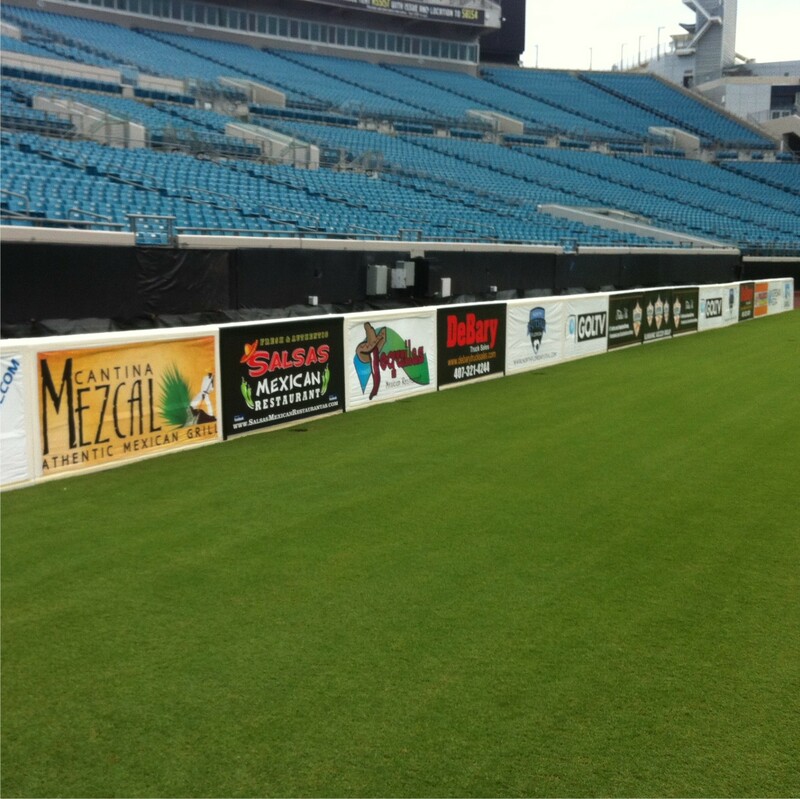 This project for Sunshine Soccer Group was for an international event at Alltel Stadium in Jacksonville Florida. 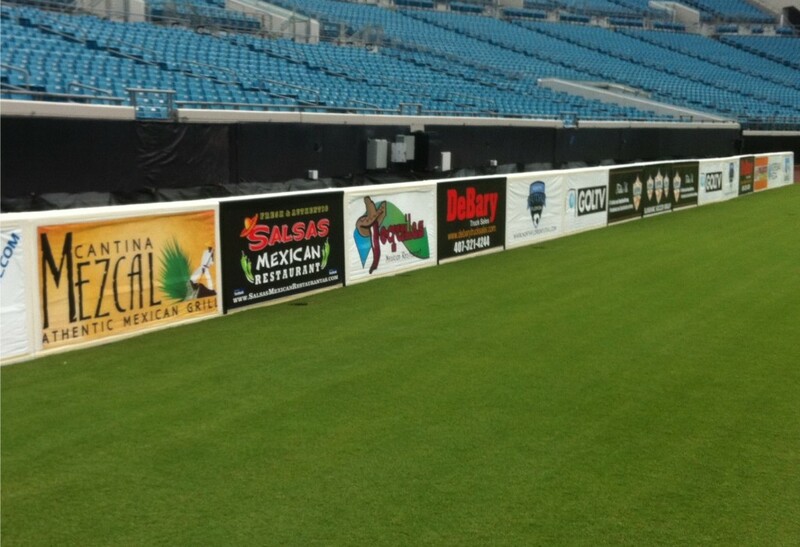 The stadium is home to the Jacksonville Jaguars football team and often used for other events like this. These barricades were used as barriers and advertising spaces during the event in 2013. They displayed very nicely in person and on national TV. Another important part is these were easily installed and removed afterwards. This was a temporary weekend event. We can ship anywhere in the world from our Jacksonville, Florida area location. For large graphics please give us a call at (904) 272-3395 or email to info@bnsigns.com.